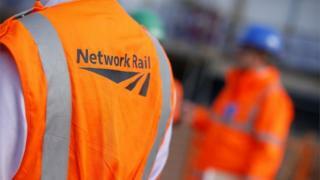 Network Rail will begin to see its grip on the UK's rail network loosened from this Tuesday, when Transport Secretary Chris Grayling will announce a plan to gradually devolve some of Network Rail's powers to private companies. This will mark the biggest overhaul of rail supervision since 1996 when one organisation was tasked with looking after the track and lots of others running the trains. It will be a staggered revolution, with new arrangements put in place as and when franchises (the concession to run the trains - typically granted every seven to ten years) come up for renewal. The potential devolvement of track maintenance to private companies has some industry watchers very nervous. Sim Harris, editor of Rail News told the BBC that "unless this process is handled very carefully, I fear a return to the days when we saw a number of high profile crashes like Hatfield and Ladbroke Grove." In the aftermath of those disasters, the then private company Railtrack, was criticised for underinvestment in the search for shareholder profit. The poster child for this new revolution/devolution will be a brand new franchise - the so-called Varsity line from Oxford to Cambridge, which will see disused and overgrown sections of a line, long abandoned, laid with shiny new track with a new kind of company in charge. The problem with the current system is that it produces a complex blame game leaving bewildered customers confused as to who they should vent their spleen at when the train network malfunctions. Angry commuters blame the train operating companies, train operating companies blame Network Rail and Network Rail hit back saying the train companies didn't tell them enough about potential problems. Wouldn't it be easier if you had one organisation responsible for both track and train on a given part of the network? A collection of mini British Rails if you like? There are a number of big problems with this model. Why would a train company invest money in infrastructure when it might lose the franchise next time it's up for renewal? It would be paying for an asset someone else might takeover. There is also the question of who will do the maintenance. Do workers cease to be Network Rail employees and become Virgin or First Group employees? Are they seconded? To whom do third party contractors present their bills? There are half way houses available to the government and already in existence. In Scotland, private company Abellio and Network Rail formed an alliance run by a single chief executive of Scotrail, Phil Verster. The results of this arrangement have been mixed. As always it will come down to money. The government gives just under £4 billion to Network Rail every year. If the train operating companies are going to be charged with maintaining the track, they will want a slice of that cash. There will also be questions about where the buck stops when things go badly wrong. Tuesday's announcement of the government's new plan for the railways comes ahead of a holiday period that Network Rail are already warning could mean passengers face severe disruption. It says a "crescendo of maintenance work" is building up - potentially causing misery over Christmas. The Transport Secretary will hope Tuesday's announcement will double as a shield against the passenger criticism to come.